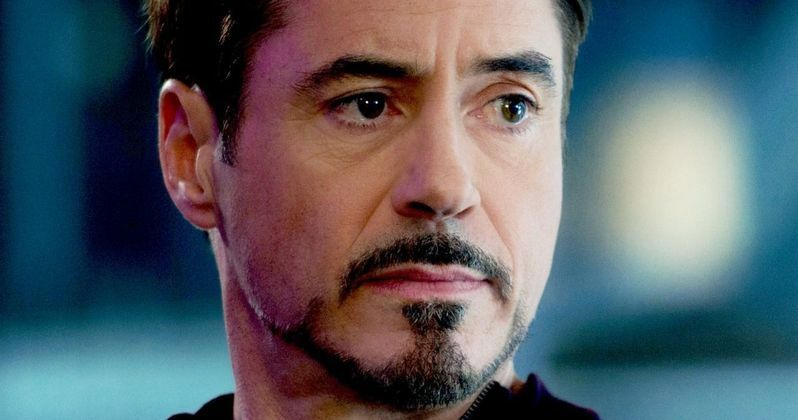 Robert Downey Jr.'s Avengers: Endgame mustache challenge isn't for everyone. The Tony Stark actor posted a picture of himself, Chris Evans, and Mark Ruffalo with an assortment of bushy mustaches on social media and some Marvel Cinematic Universe fans aren't into it for a few different reasons. The mustache is a controversial piece of facial hair and some men just can't really pull the look off, even if they're one of the biggest movie stars on the planet. Downey Jr. wants to know who out of the three of them has the best mustache. One glaring omission is the fact that Robert Downey Jr., Chris Evans, and Mark Ruffalo aren't the only MCU stars, or stars of Avengers: Endgame, to have ever rocked a mustache, which fans instantly pointed out. As it turns out, Benedict Cumberbatch has some pretty impressive upper lip hair and Paul Rudd's handlebar mustache from the Anchor Man franchise is pretty hard to beat. Chris Hemsworth has pulled the look off too and Sebastian Stan grew a pretty awesome mustache for I, Tonya as Jeff Gillooly. The honorable mention has to go to Thor: Ragnarok director Taika Waititi. While some MCU fans aren't into the mustaches at all, many pointed out that Chris Evans, Mark Ruffalo, and Robert Downey Jr. all lose to Marvel Comics legend Stan Lee. Lee had a mustache through most of his career and fans have called it his trademark. He often talked about his facial hair over the years and in 2014, he revealed that it was his wife who usually made the decisions on what he grew or shaved off. Towards the end of their lives, she preferred the smaller, well-groomed mustache, so that's what Lee did. Stan Lee obviously wins the mustache challenge without question. One clever fan decided to use his artistic abilities to use the Decimation to wipe the mustaches off of Robert Downey Jr., Chris Evans, and Mark Ruffalo, which is pretty hilarious. Another faction of fans really wanted to see Loki actor Tom Hiddleston with a mustache, so there's some doctored images that have photoshopped facial hair on the actor in the lengthy Twitter thread. Downey Jr. opened up a big can of worms with his post today. In another response to Robert Downey Jr.'s mustache post, a picture of Chris Evans from a magazine poll claims that 55% of people liked the Avengers: Endgame star with a mustache. That is arguable and it really comes down to personal preference when all is said and done. With that being said, there were a lot of MCU fans who were pretty bummed to see that Steve Rogers ditched his Infinity War beard and went back to the clean-shaven look. You can check out Robert Downey Jr.'s Twitter post below, along with some of the best responses and a bonus video of Stan "The Man" Lee talking about facial hair.